Copyright 2008-2019 German American Society-Spokane. All rights reserved. Membership Dues for 2019 Now Dues! Please remember to send in your 2019 membership dues now if you haven't done so already! $50 per member... $100 per couple! Please have dues in by March! Hope you have enjoyed our newsletters. If you still want to be on our mailing list, please let us know. Thank you to all the members, family and friends who attend our fabulous dinners and events. Without your support, our club would not survive. However, due to rising costs of food items and supplies, all dinners will now cost $10 per person. Let's celebrate and enjoy our fabulous "home cooked" (just like deine Mutti's cooking) German food and traditions! We need your help in finding Pictures, Stories, Minutes, and News Paper Articles going back to the 1950's or earlier. What changes have occurred to the building in the past 50 years? Was the club impacted by the world wars? Anyway information would be tremendously helpful in our quest for our building to be placed in the historic Registry. Dianna Kilgore, G.A.S. Secretary, will now be taking over the newsletter. Thank you Mallene Herzog for happily passing the torch. Advertise in our Newsletter: Thanks to those community organizations who have agreed to place a business- card-sized ad in our newsletters. For $100 per year, we will attach a company's business-card to each newsletter to let our members know of the services these organizations offer. This revenue will help to offset the cost of mailing our newsletters each month. Ballroom Dancing - The Deutsches Haus will host ballroom dancing on the 2nd Friday of every month, 7 to 10 pm. The next dance will be Friday, February 8th. German Club members will dance free! Guests will pay $10 per person! Recorded music will be provided by Judy Palrud, the hostess for this well-attended new club event. Dancers will be served light snacks and free water. Encourage your friends to come. Alcoholic beverages will be available for purchase to members and guests signed in by German-American Society Members. Our Christmas Dinner, prepared by Heiderose and Helga was a great success. Thanks to these marvelous cooks, and to the women who served us all with such grace and efficiency. The evening was filled with fun and laughter. We thank you all! It was a magical night of German Weihnachstmusik und Gemuetlichkeit! Mike Herzog played guitar and we sang German and American Christmas songs. Norm Seeberger, band of one, played his electronic accordion for our dancing enjoyment! German-American club is a special place together throughout the year. Time to Renew German Club Membership Dues for 2019 - I hope you all have a healthy and peaceful 2019. Please be reminded to pay your dues now for 2019. What a great gift that would be. A special thank you from our membership chairperson, Inge Cantu, to those who have already paid! Our President, Karin King, reminds us that if we are signing up as a couple, the cost of two memberships is $100. We ask that you remember to sign up each person separately to help the club meet on-going operational expenses. From: Susie Schmidt, wife of Eberhard Schmidt, Board Member! Recently I talked with Karin King, our hard-working President. What she told me left me gob-smacked. She said that it costs $3000 a month to run this club. Yes! This old building has many unfixable energy leaks and costs a fortune to heat, and there are other on-going expenses as well. So! Where does the money come from that keeps our doors open? Donations to the Memorial Fund, rentals, our monthly dinners, our annual membership fees? The Oktoberfest brought in almost $6000, twice what we got in 2017. Pioneer Day brought $600. Smaller dinners yield a few hundred. But that’s not enough to cover the cost of a whole year. We have to raise more. And in addition to the money, where do our cooks and servers and Board Members come from? When Eberhard and I joined this club in 1977, most of the members were direct immigrants from Germany. They came together for the pleasure of speaking their own language with each other and for sharing life in a new land. The energy of the place was terrific. The choir met every week, fall, winter and spring, which gave us all a lot of contact and a sense of group purpose. When it came time to cook a dinner or chair an event, there were a lot of strong, capable people on hand to get things done, and a lot more people standing by with their dancing shoes on, ready to have a great time. In 1979, Maria McKeirnan and I started putting together an annual calendar to keep track of who would cook or chair or serve at an event. That schedule kept the club going for years, and it would work again so dinners can happen in an orderly way. This club still has vitality. The choir still meets every week, and most of the members are still German immigrants. All of our club members still love to get together to eat, dance and sing. But a lot of us are older, and many of our cooks have passed on. Those, who are still able, have stepped up time and time again. John King’s homemade Schnitzel and Bratwurst dinners pack in crowds, and Amy and William Luke, and the Heatons, all help. Heiderose and Helga made our Christmas dinner for 138 people. But they can’t do it all! Our beautiful, historic building is in line to be placed on the Historic Registry. A lot of effort has been put into this project by Linda Yeomans, Karin King, Edgar Bueschke, Eberhard Schmidt and others. But more work needs to be done to complete this project, with the goal of preserving not only the building, but the history of how this building and its membership brought the German culture to Spokane and has helped to retain this culture in our City. We invite your help to make this happen. Because of the extensive renovations made through the years to this grand old building, the building by itself does not totally qualify for the Registry. We have been told by the visiting Historical Society team that we should not give up on our project. The committee suggested that we place our priority on more evidence of the role the German American Society has played in bringing to and preserving the German culture in our city. They challenged our club with the task of verifying the ways in which this glorious space has truly allowed families to carry on treasured German traditions, costumes, music, recipes, etc. and continues to provide a way to pass these along to future generations. Would you like to help by searching through your family photo albums and written histories of current and of immigrant generations? Together we can gather any photos or stories that exemplify the cultural aspects of the German-American-Society or highlight the economic and cultural impact which our club has had on our city. It would be helpful if our photos include a peak at our historic building in the pictures, either inside or outside, or costumes of members dressed in traditional garb that clearly were taken in our historical building. It might be fun to pull out old picture albums and reminisce as we attempt to demonstrate the lengthy history of the German-American-Society in Spokane. Present your pictures and stories ASAP to Karin King to pass along to MS Yeoman, our facilitator on this project. · Pictures of the Concordia Choir performing, also showing the building in the backdrop. · Pictures of activities, Fasching, Oktoberfest, Pioneer Day, Saengerfest. A Year in Review by Your President Karin King: 2018 was a successful year for our club! · We are in the final stages of putting our Deutsches Haus on the Historic Register. · Multiple rentals of the German hall added to the club’s income. · Several improvements were made possible by member volunteers. · In January, Judy Palrud began Ballroom dancing upstairs. Many Club Members and Guests enjoy this event. · Fruehlingsfest (Springfest) featured Lyra Maenner Gesangverein (Guest Choir) and was well attended. · Our own Oktoberfest, first in several years, was a great success. $6000 net was double the 2017 net. · Pioneer Day in November showcased the Austrian Choir as well as our very own Concordia Choir. · Our all-time favorite, the annual Christmas Service at St. Marks, featured our Concordia Choir. A Coffee & cookie reception at the club following the service added a very special touch to the Holiday Season. o Displaying a German Booth at Unity in the Community at Riverfront park where over 1000 children and their families attended this cultural learning experience – showcasing over 20 countries. o Supporting our Communities by singing Oktoberfest songs at various venues. o A German style Christmas tree was decorated by members of the G.A.S. and displayed at the Winterfest in the downtown mall. · The German-American-Society, for the second year in a row is financially solvent. We are hoping to see our new members at the upcoming events. Be sure to introduce your selves to us so we can get to know you better. Be sure to call if you have any questions! The bills and receipts from the Oktoberfest at our club are in and the results are showing a excellent profit after expenses. And YES, it was a project worth all the effort put forth by so many of you. Thanks to Edgar who prepared the Flyer and coordinated the volunteers. Thanks to John King and crew for cooking a delicious Schnitzel and Bratwurst dinner; to Das Stein Haus for contributing Sauerkraut and to our members who prepared the Kartoffel Salad und Kuchen. Thanks to Susie Schmidt and team who sold deserts in the Stube, and Heiderose Glass, our gracious Hostess. Thank you, Karen King and crew, for advertising, working tirelessly at decorating, welcoming guests at the door and membership table, and singing with the choir. Thanks to Marc Connally and all our bartenders, and those who danced and visited with guests, etc. Thanks to Karin Austin for our new signs, and to those who distributed flyers and signs around the city. And thanks Amy and William Luke for the ice cream machine! Yum! Thanks, Hans Herzog and his team at the door and Joe Herzog, for bringing us into the realm of accepting credit cards. And did you know that Eberhard Schmidt risked his life to out the streamers up on the ceiling, and helped Judy Paltrud and team decorate. Thanks to our security man, Kevin Kilgore, for keeping us safe! Thanks Concordia Choir and Norm Seeberger, for music that kept us singing and dancing. Look at what we can accomplish when we all work together! To each and every one of you, mentioned by name or implied, you made this event fun for everyone who attended. THANK YOU! Note from Oktoberfest committee: Wrist bands purchased for $10 at the door, serve as notice you have paid the entrance fee, and, for our 21 years-olds, a notice of eligibility to purchase alcohol. (A few older members, working the evening shifts, may choose to wear a badge! We will honor their many years of doing "the way it has always been done!") Persons under 21 will wear a different wrist band. Thanks for cooperating with the bartenders and welcoming committee who will see arm-bands and not have to ID individuals each time they purchase another glass of beer, or check if they choose to go out and back into the building during the evening! June 16 - The choir volunteered to sing at the Medical Lake Founders Day - great turn out. The choir picnic at Bob and Judy Paltrud's house had great food, fun, and German songs. August 18 - Unity in the community at Riverfront Park. This event promotes cultures from 21 different villages from around the world. We are honored to represent Germany to over 1,000 children at this annual event. Kudos to Andrea Lejeune-Weiler who graciously took over this project while Karin was in Germany. A special "Thank You" to her husband, Darin, and Eberhard Schmidt and Elke Griffith, for your help! Thank yous! The month of April was a very successful time for our club. John King and his team cooked a wonderful dinner, with schnitzel and kartoffeln und salad. For dessert, John served his cheese cake, MELT IN YOUR MELT GOOD! This delicious dessert was donated by John and Karin King. Club members served and Norn Seeberger played and many people danced. Thanks to everyone who jumped in at the last moment to make this dinner fun and a great success! Gustav and several of John King's friends helped in the kitchen. A special thank you goes to Susie Schmidt and her many helpers for successfully chairing the Spring Concert, as well as the Welcome Supper for the LYRA Maenner Choir, from Canada, who arrived the night before. Great fun was had by all. Renate Cross prepared the Saturday evening dinner, prior to the concert, with help from her daughter and John King abd choir members who assisted by serving. Elections: The following members were elected at the Board/General Meeting on May 4, 2018. Karin King, President; Dianna Kilgore, Secretary; Inge Cantu, Membership; Eberhard Schmidt, Ways and Means and Liaison to the choir. Welcome back to Gary and Inge, Rental Coordinator and Membership who have returned from their snow-birding. Thanks to Karin King and Judy Paltrud who handled their duties during their absence. KUDOS: Special kudos to Karin Austin for creating the beautiful sign on the inside of our entrance that reads "WILLKOMMEN" as you enter the building, and "AUF WIEDERSEHEN" as you go up the stairs to leave. Thanks John King for hanging the sign. And, thanks Karin Austin and son, Luke, for the beautiful Enzian Blumen on the outside entry. Eberhard and his sons: Hans and Justin Schmidt for moving furniture into place following the Spring Concert. They also repaired the baseboards in the hallway by the bar - a much-needed project. John King for replacing the back-door lock to make our club safer. This lock comes with a warning from John: Prop the door open when you take out the garbage since the door only unlocks with a key and locks automatically when the door closes. John also replaced the upstairs stage lights with LED lights, which really lights up the stage, and should conserve energy as well. President - Karin King has kindly agreed to serve our organization for another term as president. Secretary - Diana Kilgore has accepted the nomination for the open position as secretary. Membership - Inge Cantu is willing to serve another term as Membership Trustee. Ways and Means - Eberhard Schmidt is willing to serve another term as Ways and Means Trustee. A Special Thanks to Sonja DeWitt who has served as secretary of the club for the last year. She has taken a new job which will require her to work on weekends. We thank her, wish her well, and hope she can join us for some of the upcoming events. Annual Dues - of $50 are due by March 31 of each year. Many members have already paid! Thanks for keeping your club strong in membership and secure financially! Fasching Dinner: Judy Palrud and family for decorating, organizing and entertaining us in a very special way and to Renate Cross for cooking a delicious smoked pork dinner. St. Patrick's Day Dinner: Donna Kellam for hosting & decorating and Ann Heaton and entire family from Walla Walla for cooking and serving the delicious Corned Beef and Cabbage dinner. A song-fest followed with Norm Seeberger and his accordian joining us in the dinning room for a song-fest of Irish, German and English songs! Spring Clothing Drive: Remember to bring in any unneeded clothing and small household items you wish to donate. Dan Ueller, our club member, will take these items to Value Village. We will receive 5 cents per pound for books and 20 cents per pound for clothes. All the proceeds go to support our club. ·The club business cannot move along! 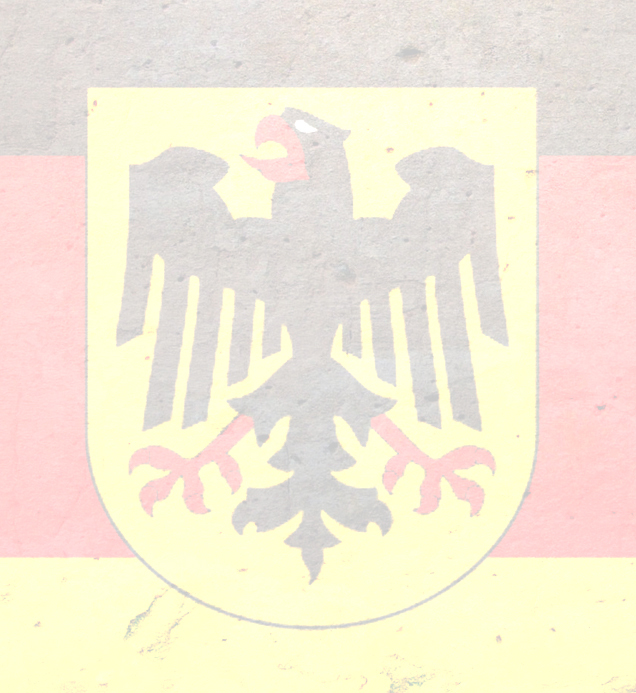 ·Important decisions, for the good of the German-American Society, cannot be made! We need your presence and your voice each month to help decide critical decisions. Come join in keeping our club strong. Bring a small snack and have a social drink! Make new friends! Ballroom Dancing Event: The Deutsches Haus will host ballroom dancing on the 2nd Friday of every month, 7 pm to 10 pm. German club members will dance free! Guests will pay $15 per person or $25 per couple! Recorded music will be provided by Judy Palrud, the hostess for this well-attended new club event. Dancers will be served light snacks and free water. Encourage your friends to come. Alcoholic beverages will be available for purchase to members and guests signed in by German-American Society members. Membership Dues for 2018: Please remember to send in your 2018 membership dues now if you haven't done so already. $50 per member - $100 per couple. Make checks out to German-American Society and mail to 25 W. Third Ave, Spokane, WA 99201. Please note: The board has decided to have the General Membership meetings follow the 5 pm board meetings (the same evening) to accommodate the new ball room dancing event that takes place on the second Friday evening of the month. We look forward to seeing many of you. Please join us at this 6:30 pm membership meeting, and at the exciting dinners planned for this month for your enjoyment. Kudos and Maintenance Update: Retrofit of Fire Suppression System: With the generous outpouring of financial help from many of our members, we were able to cover the cost of replacing the old anti-backflow valve system required by the City of Spokane. Thanks again to each one of you who contributed!! If others of you didn't get around to donating or wish to still contribute, our next challenge is the hot-water, pre-heat system on the dishwasher. It's failing to keep water at the required temperature without constant nudging. John King estimates the cost of $2,000 to complete this project. The board approved the repair! Exit and Emergency Lighting: John King has recently upgraded all of our Exit and Emergency lighting to LED, repaired a water leak in the Walk-In-Beer cooler, repaired the alleyway EXIT doors, overseen several inspections (Fire System, Fire Marshall review, Stove hood cleaning, etc). We passed our fire inspections with flying colors! He is a true gift to our club and has saved us thousands of dollars this winter alone. Thank you John King!! A Special Thanks To Eberhard and Heiderose for donating the new shelves in the backroom, and for donating a step stool to reach the highest shelf. Thanks to Justin Schmidt for helping to put the shelves together. Thank you, Genevieve Schmidt, our Raffle Queen. As usual, she did a marvelous job of handling the Glass Jar Night Raffle. And, thanks to each of you for the donated items for the raffle, and to those who brought one of the wonderful Soups, Salads, Breads or Desserts. It was a most scrumptious food event. A Special Thanks to Judy Palrud, Eberhard Schmidt and Mallene Herzog for shampooing the carpets upstairs. Hans and Mallene Herzog have enjoyed the task of keeping the new on-call janitor, Jacob Anderson, supplied with mops and cleaning supplies, an easier task than finding members to clean the floors and bathrooms, or doing the cleaning themselves. A new rental fee and agreement, approved by the board, adds cleaning fees to the rental fees to help cover the janitor's compensation. We are hoping that a regular cleaning, done by the young janitor, will be an incentive for older members to get more involved in helping with special club events. We hope you notice the difference. A Heart-felt Thank You - to all who so generously donated to our Back-Flow Valve project. We feel truly blessed to see how many of our members contributed to this unexpected expense. The job has been completed, inspected and approved by the city. The debris from this project has been removed, and the payment is now due! We can be assured that our German-American Club building now meets safety requirements Thanks again for your caring and generous response! Small and large contributions came together to make the challenge complete. Any additional contributions to this effort, or other building needs, would be welcome and appreciated, but the response has been amazing and will assure that we will go into this year without having to tap into our meager reserves for this project! The pledges are still coming in. We will announce the total soon. Donations come in many forms: The Schmidts put in new LED dimmer switches in the downstairs dance hall to eliminate flickering of bulbs when lights were dimmed. All toilets have now been replaced both upstairs and downstairs by John King, and tiling replaced where needed by Judy Palrud. Renate Cross attempts to keep our supply room tidy. Thank you all for your tireless work on the historic building we call our own. Karin Austin is working on Enzian (Alpine Flowers) to complete the front entry. Yeah!! Advertise in our Newsletter: Thanks to those community organizations who have agreed to place a business-card-sized ad in our newsletter. For $100 per year, we will attach a company's business-card to each newsletter to let our members know of the services these organizations offer. This revenue will help to offset the cost of mailing our newsletters each month! Membership Dues for 2018 Now Due! Hello from Inge: I wish all our members, and their families, a happy and healthy New Year! May your 2018 be better than any other year before. Hopefully,, it will be the biggest and most successful year for our German Club. Please remember to send in your 2018 Membership Dues now! The cost is only $50 per member. Make checks out to German American Society and mail to 25 W. Third Ave, Spokane, WA 99201. Thoughts and Prayers: Our thoughts and prayers go out to the family of Theresa Reedy. She passed away this month and will be dearly missed by our club members. "Have a Heart, Give a Heart" -If you were a contributor to the "Have a Heart, Give a Heart campaign, your name is now proudly displayed on a plaque in the front entry of the club. Thank you for your generosity! Gifts such as these make it possible for us to maintain our historical building in a manner befitting of our building's heritage! If we missed someone, please let us know. The G.A.S. Desperately Needs Your Help! You Won't Believe What the City Requirements are for Our Building Now!! An unexpected project, required by the City Fire Department, demands a retrofit of the single anti-backflow valve on the fire suppression system. A double valve is now installed! This valve is a part of the emergency sprinkler system for the GAS building. This remodel of an old system creates a huge monetary outlay for the club this month. The Board selected the best bid, which costs the club approximately $6,000. The project is on-track to meet the mandatory Jan. 31st deadline. This monetary outlay has a devastating impact on your club’s 2018 budget. John and Hans, are leading off a challenge and asking you to consider contributing $200 per family, $100 per person, if you are financially able, to help cover the costs of the $6000 repair. Our combined efforts continue to revitalize this treasured building. Yes!! Our building is worth it! Report on 2017 Events and Thanks to All Who Helped Make Them Successful: Christmas time at our club was especially festive this year. Edgar Bueschke bought the Christmas tree. Eberhard Schmidt and Hans Herzog contributed money to defray the cost. Edgar and Eberhard put on the lights and Heiderose Glass and Maria Reisfelder and Melody Faris decorated the tree. Also displayed was the beautiful “Weinachts Krippchen” (crib) donated last year by Gustav and Luise Aspey which now belongs to the G.A.S. The Christmas sing-a-long added a nice touch to the dinner. Two Metal Edelweiss created by Karin Austin’s son and beautifully painted by Karin, installed by Eberhard, now hang on either side of the German American Society sign above the entrance. A much-needed new awning over the back lower-level stairway was donated and installed by the President of U-Haul, Manny Mendez. He is a new member of our club. We welcome Manny and his wife and thank them for their generosity. Member Contributions go a long way toward keeping the G.A.S. of Spokane alive and available for our personal and cultural enjoyment. Our dues amount to $5 per month per member for each of the 10 months we are in operation annually. Keeping our dues at $50 a year, per club member, $100 per couple, assures that members can continue to belong regardless of their income level. We also recognize the contribution of time and talent that keeps our club vibrant and assures its existence into the future. There is great value in the contribution of cooking dinners, serving at the dinners, being board members, painting and repairing our historical building, cleaning, decorating, etc. Donations in 2017, of new toilets and “Hearts” to cover painting and building repair, helped balance our budget without drawing down the small G.A.S. savings or E-bond reserves. Octoberfest Income was $11,600. Expenses were $8,760. Profits $2,840. Thanks to each of you who put in so many volunteer hours to make a small profit, this first year at the new Valley venue. The Board and Oktoberfest committee are looking at ways to improve profits from this event in the future. Welcome to the many new members who joined the German-American Society over the Oktoberfest weekend. We are looking forward to getting to know each of you and hope to see you at the upcoming dinners. Advertise in Our Newsletter: Thanks to those community organizations which have agreed to place a business-card-sized ad in our newsletters. For $100 per year, we will attach a company’s business-card to our newsletters to let our members know of the services these organizations offer. This revenue will help to offset the cost of mailing our newsletters each month! The postage for and printing of newsletters this year was contributed by a Board Member. We wish you a Happy New Year!! Welcome to our sixteen new members. We are looking forward to getting to know you! Please join us for the upcoming December events. Call in your reservations today to Hans Herzog. The Deutsches Haus will host ballroom dancing on the 2nd Friday of every month, 7 pm to 10 pm beginning on Friday, January 12, 2018! German Club members will dance free! Guests will pay $15 per person or $25 per couple. Recorded music will be provided by Judy Palrud, the hostess for this new club event. Dancers will be served light snacks and water. Encourage your friends to come. Alcoholic beverages will be available for purchase to guests signed in by G.A.S. club members. A special thanks to William & Amy Luke for cooking our Pioneer Day Dinner, to Heiderose Glas and Edgar Buschke for helping them, Kathleen and Theresa (The Schreiner girls) for serving, and the choir members for the set up and enjoyable choral performance. A good time was had by all at the Pioneer Day celebration!! The Deutsches Haus will host Ballroom dancing on the 2nd Friday of every month, 7:00 to 10:00pm, beginning on Friday, January 12, 2018! German Club members will dance free! Guests will pay $15 per person or $25 per couple! Recorded music will be provided by Judy Palrud, the hostess for this new club event. Dancers will be served light snacks and free water. Encourage your friends to come. Alcoholic beverages will be available for purchase to guests signed in by G.A.S. club members. Many thanks to generous donors who sponsored hearts for our renovation project. Please notice the renovations we have made inside and outside our building. Many volunteer hours went into prepping and painting, repairing and cleaning. The materials were costly. At the Schnitzel Dinner, new wooden hearts to replace damaged ones were displayed. Members were asked to sponsor a heart, $50/family, or $25/single, with proceeds going toward renovations. The members responded by raising $1075. 17 family sponsors and 9 single sponsors! Hurrah!! Soon there will be a new plaque in the entry hall, with all donor names written on a separate heart for all to see who “gave a heart” for the German American Society. If you missed the opportunity to sponsor a heart, there is room for a few more sponsors. Please call Judy Palrud (509)202-7761 if you are interested. New hearts have been added already to the repainted shutters on the west side of the building. Northside replacements will be done next summer. Welcome to our sixteen new members who joined us over the Oktoberfest weekend. We are looking forward to getting to know you! Please join us for the upcoming events. PIONEER DAY AT THE DEUTSCHES HAUS! The German-American Society will celebrate Pioneer Day on Sat. Nov. 4th at the Deutsches Haus to honor German immigrants who settled in the Pacific Northwest over a Century ago. The festivities will begin at 6:30pm with a home-cooked dinner, followed by a performance of the Concordia Choir. Our special guests will be the Spokane Horn Club playing German and American folk tunes. After the concert, Norm Seeberger will be playing dance music in the upstairs hall. You are all invited to attend this special event, meet old and new friends, and enjoy the hospitality of the German Club. *Wear your best Oktoberfest Tracht - (costume) and welcome guests, etc. OKTOBERFEST: The biggest 2017 German-American event is currently being planned! Save the dates: October 27, 28, 29th at Center Place Regional Event Center in the Spokane Valley. Easy Free Parking! Food & Beer sold (served by friends of the German American Society-Spokane). Our choir joins in the presentation of German Music. German Food and Family Friendly activities available all weekend long. Come for authentic German beer, dancing and entertainment. When you come to the Krautwickel Dinner at your club on September 16th, please pick up a notice of the SpokaneOktoberfest that advertise this year’s event and pass it out to family and friends and at your work place! Help make this a community building event for our German-American Society. The Oktoberfest has traditionally been our club’s biggest fund raiser. Because of the change of location, from Spokane City Center to Center Place, 2426 N. Discovery Place, Spokane Valley, we need every member’s help to get the word out this year!! Thank you! If you would like to help with this event, please let Karin King now!! If you want to serve beer, let John King know!! If you are interested in buying wrist bands or selling wrist bands that benefit the club, call Hans Herzog. This year, all GAS members will be able to sell 3-day admission wrist bands to friends, family and acquaintances for $10 each, with $5 going directly to the GAS! Wrist bands purchased at the door only benefit the GAS through beer sales. A free wristband will be given to each member who sells 25 wrist bands. Call Hans Herzog at (509)456-7456 or (509)710-2130 and get on his list to receive wrist bands as soon as they become available. Little elves were visible all summer long improving and beautifying our club to ready it for our upcoming events. We want to thank each one of you who gave of your summer days to make our club sparkle with cleanliness and true German charm. Although much remains to be done, a definite improvement will be noticed by all members as you enter your favorite club: Please let us know if we have left anyone out! Each contribution of time, talent and materials helped to make this project possible. Again, we thank all of you!! We couldn’t help but notice Eberhard Schmidt’s name came up over and over! Thanks, Eberhard!! SPRUCING UP DAY: July 22nd. Washing windows and light fixtures up and downstairs: Melody Faris, Eberhard Schmidt, David Mahelona, Inge Cantu, Gary Puseman, Karin King. Prep and painting of Entry: Robert and Judy Palrud, and Sonja DeWitt. Artistic Talents of Karin Austin for design for Outside Entry. SKY FEST at Fairchild, July 29-30: Helga Switzer, Waltraut Johnson, Eberhard Schmidt, Edgar Bueschke, Heiderose Glass, and Tom & Karin Stebbins. UNITY IN THE COMMUNITY, August 19: Karin King and helpers: Elke Griffith, Eberhard Schmidt and Rosemarie Carlson. GERMAN CLUB ENTRY REMODEL, August 20: Eberhard and Justin Schmidt: removed scalloped boards at entry way: reinforced fluorescent light fixtures with 2’x6’x10’ boards and took boards to Judy Palrud for creating and painting a new scalloped entry. A heart-felt sympathy to Waltraut Johnson who recently lost her son in a vehicle accident. A giant THANK YOU to Cordula and Barry Grimes and their daughter, Nicole. Cordula and Barry are moving to Puyallup. We appreciate this family's dedication to our club in the past years, and the many hours of hard work they put into improving the German American Society of Spokane. We hope they find a German-American connection in their new home town. The newly donated toilets have arrived and are currently being installed by our most generous maintenance volunteer, John King. Several have already been installed in the upstairs woman’s bathroom. If any member is willing to offer John a hand in these installations, or in the tiling of the walls behind several of the toilets, John would be most appreciative. THANK YOU JOHN!! What a gift to our club to have such a talented mechanic in our organization. Our hot water tank finally broke, a new tank has been installed by John King and one of his plummer friends. It is running and giving us lots of hot water. This was a costly purchase. We will have to access our memorial fund to help pay for this, $1400 project. Take a look at the completed installation. Nice work John! Any donations to the club for this project would be greatly and happily accepted. Both of our recent events, Spring concert and Mexican Fiesta were fun and each brought in additional funds for the needs of the German American Society. Special Thanks for the generosity of our members in making these Events a success. § to the Choir for their many hours of practice and the wonderful concert they provided for our enjoyment. § to the Schreiner girls, Ann, Teresa and Kathy, for being the servers for the Spring Concert dinner. § to Maria Reissfelder-Scharff for all the wonderful decorations and setting up the beautiful fresh flower arrangements for downstairs as well as upstairs. § Susie is often assisted by her granddaughter Genevieve. Thanks Genevieve. § Dan Ueller, who every Monday night pushes our heavy trash container out to the street for the garbage day pick up. § To the tireless maintenance work of John King who has been especially busy this month with many repairs, and now the installation of a new hot water tank and ten new toilets. § To Karin King for the energy and enthusiasm she puts into her job as President of our club. She is an inspiration to us all with her ideas and drive to keep our club alive and growing. § Our Club Clothing Drive is still in full swing. Please feel free to bring in any items you no loonger need. The choir is usually singing on Tuesday nights, so the club is open to receive your donations then and at any one of our dinner events. o There are other helpers not mentioned here, but we know that each of our contributions go a long way toward keeping the G.A.S. of Spokane alive and here for our personal enjoyment. March dinners were a success and a lot of fun! A special thanks to our March cooks! Thanks to our fine chefs, Helga and Heiderose, the April 8th birthday dinner and cake raffle, and bar receipts, brought in quiet a bit after all the bills were paid. The gulash dinner was superb! We know how hard our chefs worked to keep the costs down, often donating much of the cost of the dinners themselves, and shopping for the best meat prices. Thanks you so much! Thanks to John King for cleaning the graffiti off the front and side of our clubhouse. Nice! The clothing drive is in fullk swing! We need a lot more donated items to make our goal of 1000 pounds: dishes, shoes, books, small furniture, etc., will be accepted. If you have ever "Fallen to the porcelain" in our outdated club bathrooms, you will be pleased to know that ten of our club members have each offered to purchase one, new, taller toilet, handicap style with new style seats, to replace the outdated ones in all bathrooms at the German American Club! A special thanks to these families for their generosity: Aspey, Bueschke, Connally, Herzog, King, McKeirnan, Puseman-Cantu, Reissfelder-Scharff, Schumacher, and Schull. Hans Herzog will do the purchasing with a special deal from a long-time business connection, and John King will take charge of installation, asking for help as he sees fit. With the help of the board, Karin King, our President, has completed the annual reporting necessary to assure the continuation of the Tax-Exempt Status of the German American Society of Spokane. The work done this year will help streamline the process going forward. Thanks Karin! NOMINATING COMMITTEE REPORT: The following board members are not up for re-election: Karin King, President; Inge Cantu, Membership; Eberhardt Schmidt, Ways and Means; Sonja DeWitt, Secretary. No nominations will be accepted the evening of the meetng. A special thanks to Cordula Grimes who put in so much time and effort for the well-being of the club during her years of service on the G.A.S. Board. We wish Cordula and Barry many years of happiness in their new home. They have chosen to be move closer to their children and grandchildren. 2017 G.A.S. Board Member Nominations and Elections: The nominating committee: Edgar Bueschke and Gustav Apsey, would like to inform you that at the April 7th General Meeting candidates to fill the expiring positions on the G.A.S. Board will be introduced. At that time, nominations from the floor will also be accepted. At the general membership meeting in May, 2017, the membership will vote for their choice of nominees. It is important that as many members as possible attend these two meetings to involve a good representation of the membership in this process. Please contact the nominating committee if you are interested in running for an open board position. No further nominations will be accepted at the May meeting. A special thanks to the nominating committee for helping with this. The following members have been determined to be in good standing and have been nominated. 2nd Vice President (Maintenance) - John King and Bob Ware who has done this job unofficially for several years. Thanks to both! Food Service Trustee Renate Cross; willing to serve another term. Bar Manager Marc Connally; willing to serve another term. Social Trustee Open; Karen Austin - willing to server. Rental Gary Puseman - willing to serve another term. Clothing Drive: Remember to bring in any unneeded clothing and small household items you wish to donate. Dan Ueller, our club member, will take these items to Value Village. We will receive 5 cents per pound for books and 20 cents perpound for clothes. All the proceeds go to support our club. Sunshine Report: Special prayers for our G.A.S. friends and family who are in need of Love and Support because of illness or loss! Fasching Dinner: Judy Palrud and family for decorating, organizing and entertaining us in a very special way! Wow! March 11th Salmon Dinner: Ann and Russ Heaton and entire family for donating, cooking, and serving the very tasty Salmon and Ham dinner, Augratin potatoes, Apfel Kuchen! New Tablecloths: Thank you Inge Cantu for dressing up our dining room with the lacey white tablecloths you donated! NEW FUND RAISER: Clothing Drive - Time for spring cleaning: Bring your items with you to the club. A three-fold benefit: 1. The needy of your town! 2. G.A.S. received $$ per pound donated. 3. Room in our closets for our summer clothes! February and March only! Glass Jar Night Review: Special thanks to Renate Cross for taking reservations; to Hostess, Robin Campbell; to our wonderful cooks; Maria Reissfelder Scharff, Inge Cantu and Dianna Kilgore; Kaffeestube, Susie Schmidt; and the welcoming cashier, Gary Puseman. Thanks also to Maria Reissfelder-Scharff and Hans Herzog for the potato salad they provided. Thanks to Inge Cantu for the sausages she provided. The raffle queen was Genevieve Schmidt. The raffle was fun and brought in some $$ to help run our club. A great big THANK YOU to all who attended, and those of you who brought the jars full of surprises, played the game, and helped to make this evening a success! Saengerfest in Kelowna, B.C. - The Concordia Choir is now starting with rehearsals for the Spring Concert in April, and preparing for the German Song Festival (Saengerfest) to be held this year in Kelowna, B.C. over the Memorial Day weekend in May. Anyone interested in joining the Concordia Choir on this four-day bus trip, hotel stay in Kelowna, and concerts, should contact berhardt Schmidt at 509-928-2595 to arrange for accommodation. A Quick Reminder - Membership dues are due now. Please send your $50 to the club. If you were at the New Year Dinner on January 7th, tell your fellow German Club members about the fun that was had by all! John King and his daughter provided a wonderful dinner, with Schnitzel und Kartoffeln und salad. For dessert, John King served his cheese cake, MELT IN YOUR MOUTH GOOD! This delicious dessert was donated by John King and Karin King. Inge Bohnet, Felizitas Martin and Renate Cross helped to serve. Norm Seeberger played and many people danced... including the young people who had joined us for the fun! Nice work everyone who jumped in at the last moment to make his dinner fun and a great success! Gustav Apsey found the special rolls, and Gustav and Ron Niederstadt helped John King in the kitchen. Let us know when the young members of young family will be joining us for dinner. We can make sure they at least learn to do the Chicken Dance! Up-Coming Choir Trip to Kelowna, B.C. - The Concordia Choir is starting the New Year with rehearsals for the upcoming Spring Concert in April. The choir is also preparing for the German Song Festival (Saengerfest) to be held this year in Kelowna, British Columbia, during the Memorial Day weekend in May. Anyone interested in joining the Concordia Choir on this four day bus trip should contact Eberhard Schmidt at 509-928-2595 for details about reservations. We offer our support and encouragement to the following members dealing with health issues: To Lisa Brown, a get well soon wish! Quick healing for Dieter Dinse for his broken rib! May all our ailing members, those listed and those not, enjoy improved health, peace and speedy healing! Thank you, Donna Kellams, for sending get-well cards to our club members!! LOOKING AHEAD to SPRING: 2017 Nord-Pacific Saengerfest in Kelowna, B.C. The Concordia Choir Spokane will participate in the Nord Pacific Song Festival in Kelowna, B.C. over the Memorial Day weekend, 2017. Eight German choirs from Washington and British Columbia will individually perform German folk songs and selections from Classical music. At the end, all choirs combine in a mass choir on stage. If you enjoyed the recent Pioneer Day event at the German Club, just imagine the glorious sound of eight combined choirs. * Our Christmas Dinner, prepared by Heidirose and Helga was a great success. Thanks to these marvelous cooks, and to the women who served us all with such grace and efficiency, the evening was filled with fun and laughter. We thank you all! It was a magical night of German Weihnachstmusik und Gemuetlichkeit! To make the evening complete, Norm Seeberger, band of one, played his new electronic accordian for our dancing enjoyment! He makes it sound like an entire orchestra is playing. Thanks also to Gae, who stepped up to help in the bar in Marc’s absence. Our dedicated volunteers, without whose help we wouldn’t exist, make the German- American club a special place to gather with friends and family throughout the year. Mail dues to: German American Society, W 25 3rd Ave., Spokane Wa 99201! Happy New Year to all our members and their families. I hope you all have a healthy and peaceful 2017. Please be reminded that our dues for 2017 are now due. Maybe Santa gave your whole family a membership? What a great gift that would be. A gift that lasts the whole year! Blessings to all of you! A special thank you to those who have already paid from our membership chairperson, Inge Cantu! Our President, Karen King reminds us that we voted to move dues back to $50 from $75 per person in hopes that if you are signing up as a couple, you will consider signing up each person separately to help the club meet on-going operational expenses. Meeting our annual costs to operate will require a little sacrifice on each of our parts to be able to maintain the club as our beautiful historic gathering place . We know many of you already contribute generously in time and money. We thank you! 2017 Nord-Pacific Sängerfest in Kelowna, B.C. - The Concordia Choir Spokane will participate in the Nord Pacific Song Festival in Kelowna, B.C. over Memorial Day weekend 2017. Eight German choirs from Washington and British Columbia will individually perform German folk songs and selections from Classical music. At the end, all choirs combine in a mass choir on stage. If you enjoyed the recent Pioneer Day event at the German Club just imagine the glorious sound of eight combined choirs! The Concordia Choir will travel by bus to Kelowna and there will be enough space on the bus for anyone to join them. Motel accommodations for the 4-day trip can be made at the Sandman Hotel and Suites in Kelowna at special room rates. Please get in touch with Eberhard Schmidt (509-928-2595) or Suzanne Capstick (509-624-8025) for details about making room reservations. The cut-off date for the special room rates is February 27, 2017. Kelowna is a delightful place to visit, with its beautiful lake and mountains and vineyards. There are 700 wineries in the area, so of course many tasting rooms. This is going to be a lovely little trip; with a singing engagement you will always remember. You're welcome to join us! Special Thanks to... - We were fortunate to have 2 very successful dinners in the month of October. The Sauerbraten Dinner on the 15th and the Pioneer Day dinner on the 29th. Special thanks go to Esma Hatkic and Donna Kellams and their helpers for putting together a scrumptious Sauerbraten Dinner. They not only donated their time, but also generously donated food. Linda Kiser paid for all the meat - Thank you, Linda! Donna Kellams donated all the desserts - Thank you, Donna! Vision Marketing donated their left over commemorative beer steins for us to sell. All these wonderful donations allowed the club to clear close to $1000 for that dinner. Considering that our monthly club expenses are over $3000, this was a much-needed financial support. In addition to that, we celebrated our famous Pioneer Day with a special dinner provided by Renate Cross and Anne Heaton and their helpers. A special thanks to Renate Cross who at the last minute stepped up to help prepare this wonderful dinner. Close to 140 people came to celebrate with us, including the Austrian Melody Choir, which benefited not only ur dinner sales, but also increased our bar sales. These profits will be announced in our next newsletter, after all the expenses have been recorded. The total bar profit for October was $901. Nice work Marc Connally! To add to the list of generosity by club members, we recognize Inge Cantu's donation of all the food for the September Spaghetti Dinner and thank her crew who served the dinner; and Mark and Debbie Connally, whose donation of fudge, added to the dessert. This kind of generosity helps to keep our club alive. Thank you so much! Club Dues - Will be due in January 2017! Watch for the reminder in the December newsletter. Want to help in the kitchen - Looking for someone to cook or serve at the club dinner. Send an email to help@germanamericansociety-spokane.org if you're interested. Want to join the Concordia Choir - Join the Concordia Choir and sing the songs that were part of your childhood. If you're interested, send an email to choir@germanamericansociety-spokane.org. A Heartfelt thanks to each member who helped at Oktoberfest! On behalf of the membership of the German American Society, who will benefit from the hard-work of all of the volunteers, the G.A.S. acknowledges our appreciation and thanks for the Members and Concordia Choir who contributed to the success of Oktoberfest on the River! Some members went above and beyond by spending the majority of their weekend working to support the success of the beer operation and the promotion of the German-American Society. Members of the Board and choir could be seen serving beer, welcoming guests at the registration table, mingling with the crowd, leading the dance, and helping with the set-up and tear-down of the bar. Thanks to each of you! A special thanks to John King who transported all of the supplies needed for the bar, recruited, organized and trained 80 volunteers to work the bar, and spent each day supervising his crew. Karin King, our President, Barry Grimes and Cordula Grimes, Vice President, worked with the organizers of the event on the set-up and throughout the entire weekend. Inge Cantu and her team worked the registration table, and signed up six new members. John Stein and his team handled finances. Mark Connelly, our batr manager, and Debra, worked with John King at the bar. So as not to kiss any of you who helped, we want to take this opportunity to sincerely thank each and every one of you who worlked so hard to make this event, our second Oktoberfest at the River, a success. Non-Profit Property Tax Exemption Status: In August of 2016, The German-American Society received a letter from Linda Yeomans congratulating our club on receiving a non-profit-property tax exemption status. The G.A.S. will no longer be required to pay property tax. The hard work and dedication of Karin King, our president, and her committee members, Eberhardt Schmidt abd Edgar Bueschke, paid off. The money saved from this non-profit designation and tax exemption will help us meet annual costs of operation and pay for the upkeep of our GAS taxes previously paid. OKTOBERFEST AT THE RIVER! Put September 23rd through the 25th 2016 on your calendar and volunteer for a 4 hour shift at the membership table or registration table at the biggest city-wide German event in Spokane - Oktoberfest at the River. Call Inge Cantu at 509-467-7389 to volunteer at the registration table. There is still plenty of time to get involved! Get the word out! Tell family and friends! Bring friends and family to this event and join the Oktoberfest spirit. ● The G.A.S. is selling orange wristband Oktoberfest tickets, good for all 3 days, for you, your family and your friends for only $10 each. Five dollars from each of those sales goes to the club. These wristbands can be purchased from board or choir members. If tickets are purchased at the door, the cost is $15 for three days. Children under 12 are free. Buy ahead of time, save money and benefit the German American Society. ● If you have any questions, please contact John Stein at 509-413-6977.
to make this money-making opportunity for our club success. A fun way to get involved is to volunteer to pour beer for a 4 hour shift either on Friday, the 23rd, 12 noon to midnight; Saturday, the 24th, 12 noon to midnight; or Sunday, the 25th, 11 am until 2:30 pm. Contact John King at 509-499-7989 for additional information. Reservation Person: The club is in desperate need of a reservation person for our events starting in September. Please contact Karin at president@germanamericansociety-spokane.org if you are interested. For a list of the G.A.S. board members, please click here. If you need help with translation, please contact us at info@germanamericansociety-spokane.org and we will try to find a member that can assist you. We are not set up for formal or lengthy translation services. We gather your information and find a member who can help with small projects. It is up to them if they want to charge for their services; some of our members have formal translating or teaching experience, so if we are able to help you, you can be assured that you will get accurate translation. While the German-American Society does not have the resources to help you obtain a passport, we are very happy to direct you to the German Consular information to get you started. For residents of Oregon, Washington, Idaho and Montana, your consular offices are located in Mercer Island, WA or Portland, Oregon. They can assist you, but appointments are required.